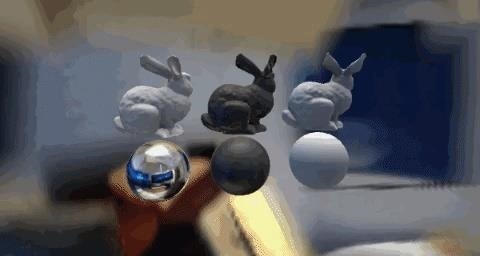 We&apos;re still weeks away from a probably HoloLens 2 release, but Microsoft&apos;s immersive computing team is still hard at work on other aspects of its "mixed reality" ecosystem. The Light Capture tool builds a replica of the natural environment&apos;s lighting, called a Cubemap, based on pictures captured by AR devices relative to the device&apos;s position as it moves throughout the physical space. The tool then feeds the data into the lighting system of Unity to apply towards shaders used in the 3D models. There are a few caveats, though. While the camera on the HoloLens is locked to a specific exposure to capture lighting changes more accurately, other devices do not, which may result in "muddy" lighting. Also, because the Light Capture tool uses the device&apos;s camera, it may not work simultaneously with other camera-based activities, such as Vuforia marker tracking or camera streaming via Mixed Reality Capture.